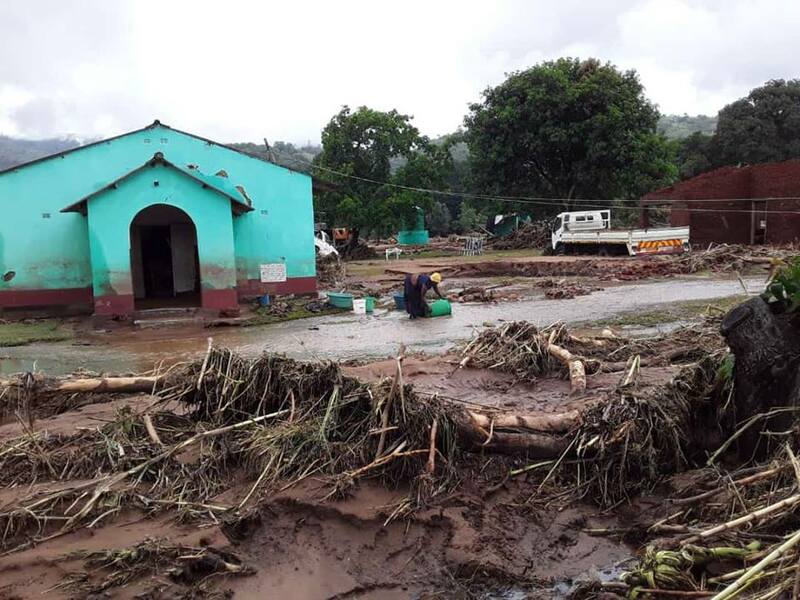 The Apostolic Faith Mission in Zimbabwe (AFM)’s Rusitu West Parish in Chimanimani says it lost 72 members, representing about a quarter of its congregation, in the floods induced by Cyclone Idai, while several others are still missing. A church service held on Sunday was turned into mourning as the pastor, Shepherd Chazoita, and other surviving members were still to come to terms with the reality that only half of the church members were accounted for. AFM president Amon Madawo on Tuesday visited the church to console members and hand over donations sourced from church members in Harare, Chitungwiza and Mashonaland provinces. “When all this happened, I was not around. I was attending a funeral in Harare, but when I received a message on Saturday after Cyclone Idai had wreaked havoc (the previous day), I did not believe what I was told,” Chazoita said. Chazoita said he was currently counselling the remaining church members, because most of the survivors were still traumatised. “I am also still traumatised, but I need to be strong as a leader. I am using the Bible to remain strong. As a leader, my pain should be different from others,” he said. The grieving pastor hailed Madawo and the church’s senior members for supporting them in time of need. “I feel sorry that we have our 72 congregants that are not accounted for. We are sharing this pain with all those who lost their loved ones during Cyclone Idai,” Madawo said.